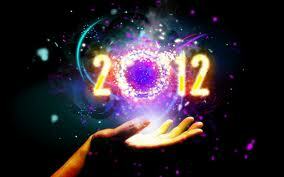 Racquel Writes: Let's Get it Started- 2012 Goals! Let's Get it Started- 2012 Goals! Hello all! Yesterday I shared how I matched up with my 2011 goals. If you're curious, you can find that post here. Today, I'm sharing what my new goals are for 2012. Some of my goals are the same and some of them are modified. Not that I believe in lowering the bar, but I do think some of my goals needed to be more realistic. So here's what I plan to accomplish in 2012. For 2011, I said I wanted to read 75 books. That probably wasn't realistic considering I was trying to finish up my MFA. I figure a book a week is reasonable right? And I still have an extra two weeks of leeway. I had this goal last year. I'll be working on a different novel, however. I actually really like this one. In fact, I can't wait to start editing it. I gave myself a month away from it. I hope that's enough time because I'm dying to start working on it. Last time I said three times a week, but I think two is a good number. If I happen to do more posts, great. I think it's safe to say I can manage two a week. I would also like to work on the content. I'd like to do more posts on the actual craft/process of writing. I think this will always be on my list. I am always looking for ways to develop the magazine and have it progress. Pam, Quita and I have big plans for Black Fox. We're hoping some of those will be accomplished in 2012. 5. Add to my emergency fund. Now that I actually have an emergency fund, I'd like to continue saving money. 6. Write at least 3 times a week. I was supposed to write everyday in 2011. That didn't happen. I think writing a couple of times a week is a more realistic goal for me. 7. Make church and God a priority. Another one that will always be on my list. 8. Publish at least 3 more "things"
I would like some more publishing credit so my goal is to get more of my work in front of readers. I want this to apply to fiction and non-fiction. I've written some articles in the past, so I wouldn't mind writing some more "non-fiction type" pieces for publication. Again, this one will always be on my list. My hope is that I will get better at staying consistent. I did make some progress this past year, so let's hope for more in 2012. 10. Start a PhD program? I have a question mark next to this zone because things are so up in he air. I have to get accepted first. The school I really want to go to is low residency and across seas. At some point over the next few days I'm going to be sitting down and thinking about this step. What about you? Have you thought about any goals for 2012? Care to share? I haven't made a solid list of goals (way to go with yours!) but I did just post today about some of the tools I am using to get motivated for some of the things on my plate for 2012. Those pretty much sound like good and reasonable goals. When it comes to ". . . at least X times a week" goals, I personally find it helpful to instead think in terms of "I will . . . at least once every . . . days." The reason for this is it keeps me from letting the goal pile up until the end of the week or month or year, with the idea that, hey, it's early. But even so, I've had to recognize that sometimes life is such that it just isn't in the cards, no matter how "virtuous" I want to be. You can do it all! Happy New Year! This is a good and realistic list. Love that they are concrete goals too. Hope you meet all your goals! Especially the creative and spiritual ones! Aims for me is to get 500 followers on Twitter, pub another short story, do more readings, and actually finish a couple pieces for my collection. Baby steps regarding exercise. ;-) Happy New Year! Good luck with your goals this year! I hope to finish revising my WIP and begin querying agents this year too.